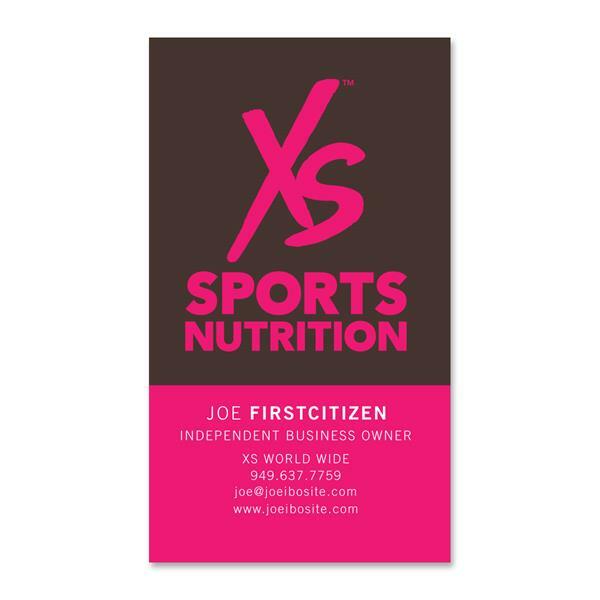 Create your own custom XS Sports Nutrition cards using our online Business Card Wizard. 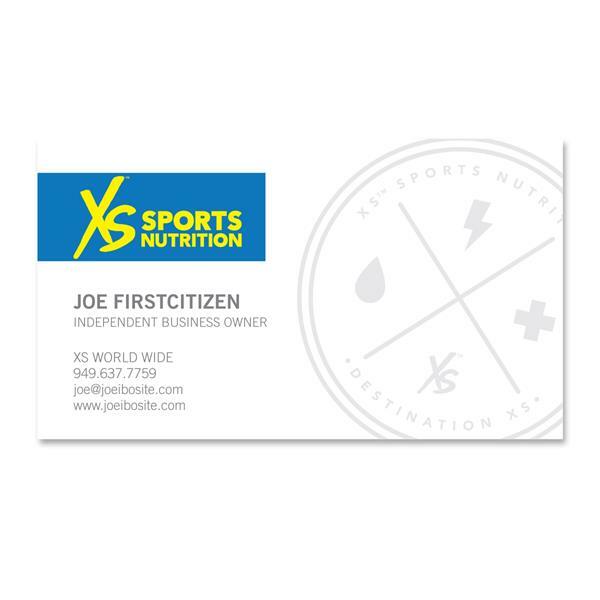 Simply submit the desired information into one of our custom templates to create your own business identity. 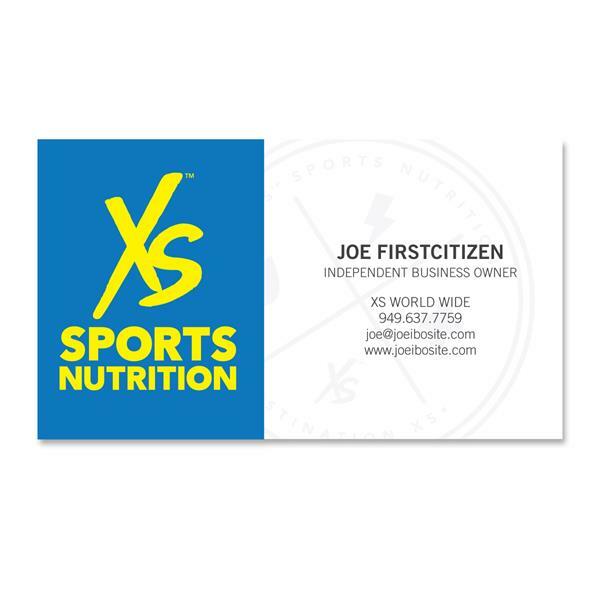 Cards are manufactured directly from the printer and take 7 – 10 business days for delivery. If you opt for expedited freight, please note that it will take about 2 business days to print your cards and then it ships out. They will arrive separately from the rest of your Gear order. 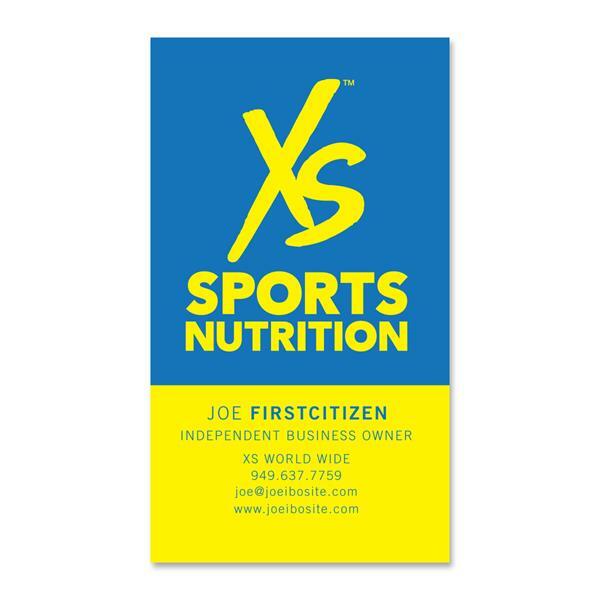 Each template is sold in sets of 250 cards. All orders are final, orders can not be canceled or returned due to the customized nature of this product. Available for USA customers only.